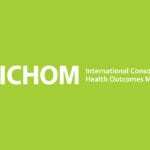 The International Consortium of Health Outcomes Measurement (ICHOM) has released its Diabetes Standard Set on World Diabetes Day, 14 November 2018. 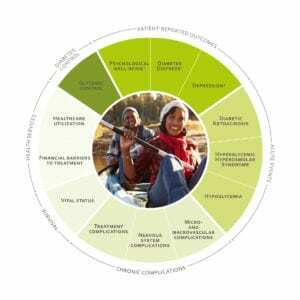 The set defines outcomes that matter most to adults living with both type 1 and type 2 diabetes, which the ICHOM Diabetes Working Group recommends health care providers measure in order to achieve patient centered and value-based care. 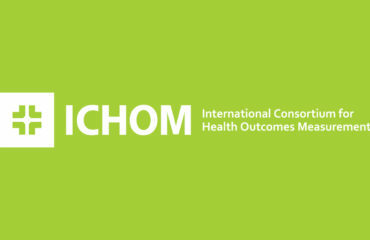 The outcome measures defined are the result of a consensus between 28 Working Group members, including expert clinicians, outcome researchers and patient representatives, from over 19 countries, as part of an ICHOM Working Group process. 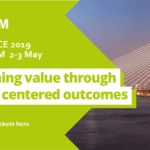 The collaboration followed ICHOM’s methodology, which involved literature reviews of important outcomes and risk-adjustment factors relevant to adults (persons aged 18 years or over) with type 1 or type 2 diabetes. Throughout the development of the set, the Working Group discussed and voted on clinical outcomes, Patient Reported Outcome Measures (PROMs), and risk-adjustment factors using a modified Delphi process. The final list of outcomes agreed by the Working Group was reviewed and validated by 176 clinicians representing 22 countries and 128 respondents from the patient community representing four countries. The debut presentation of the Diabetes set will be made at the International Diabetes Federation’s Europe regional meeting in Tirana, Albania, on 25 November 2018. The standard set was funded by Imperial College London Diabetes Centre and JDRF. The outcome measures included represent the expert opinions of the Working Group members, as well as supported by literature evidence and the wider diabetes community feedback.